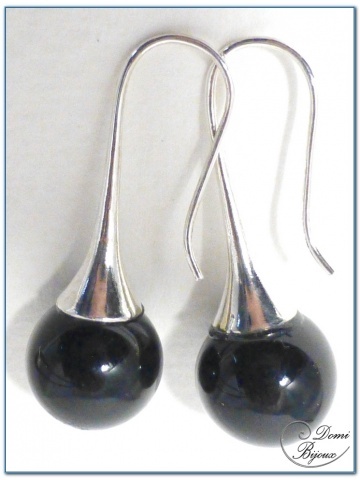 Fashion Earrings Silver Finish with Black Agate Pearls on a tulip shaped mount. 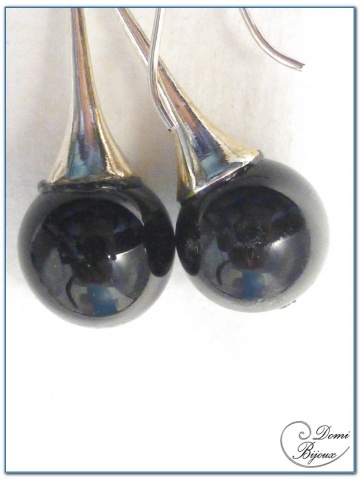 This fashion earrings are made with Black Agate pearls of 10mm diameter on a tulip shaped mount. The sleek mounting highlights the black agate pearl. Very nice! The metal used for this earrings is nickel free, so there is no allergies. 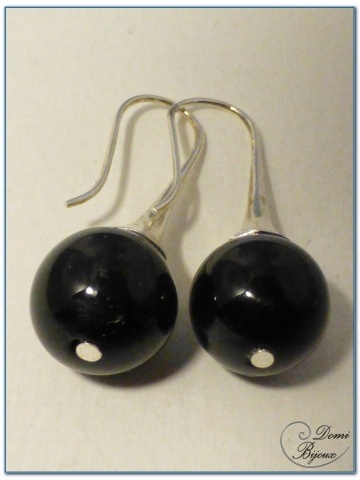 You will receive this earrings in a nice cloth pouch closed by a link, to store carefully when you don't wear them.